As a leading information and communications service provider, we help organisations navigate through the complexities of today’s converging communications and Information Technology landscape. We design, deliver and manage services that help our customers improve their customer experience, create competitive advantage, and quickly respond to changing markets. Join this channel to learn from our best practice guides and research across retail, finance, IT, legal services and the public sector. 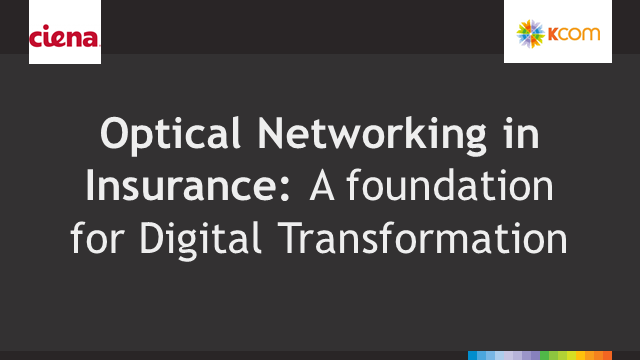 In this 30 minute webcast, our experts discuss the strategic market drivers that are putting pressure on insurers, the changing role of the network, as well as recommendations to modernise and monetise your network and ultimately transform your business. In this 30 minute webcast, our experts discuss the strategic market drivers that are putting pressure on retailers, the changing role of the network, as well as recommendations to modernise and monetise your network and ultimately transform your business. UK Calling - Problem or Opportunity? Join the Kcom team as we explore how the new Ofcom numbering regulations could translate into a better service for you and your customers. We'll explain how the recent statutory and regulatory changes to non-geographic numbers are affecting businesses, look at the upcoming changes and their potential implications, whilst also advising on how organisations can make the most of the changes to develop a more sophisticated customer contact strategy.